For some motorists, the low-fuel warning light appearing on the dashboard is enough to make them start plotting the safest route to the closest petrol station in order to refill the tank. However, studies show that drivers running out of fuel on UK roads is a big issue which causes a huge number of breakdowns every year. According to the AA, as quoted in The Sunday Times Driving, it has to help around 300 cars a week that have run out of fuel. Jim O’Sullivan, chief executive of Highways England, told The Sunday Times Driving: “On our motorway network, one in 12 vehicles that break down have run out of fuel. One in 10 that stop on the hard shoulder will be involved in an incident so it is verging on irresponsible to come onto the strategic road network with low fuel.” Because of this, he has said that drivers should ensure that they fill up before they travel on major motorway routes. At a Highways UK conference in London recently, Mr O’Sullivan said that he believes reducing the number of fuel breakdowns could cut down on deaths and injuries on UK roads. However, there are concerns that this problem may get worse. Statistics published as part of last week’s autumn statement show that fuel duty is likely to rise from April, after a five-year freeze. Hill-Smith also suggested that fuel costs being higher on motorways may mean that motorists try to wait until they leave the motorway to fill up, even if their fuel light is already on. 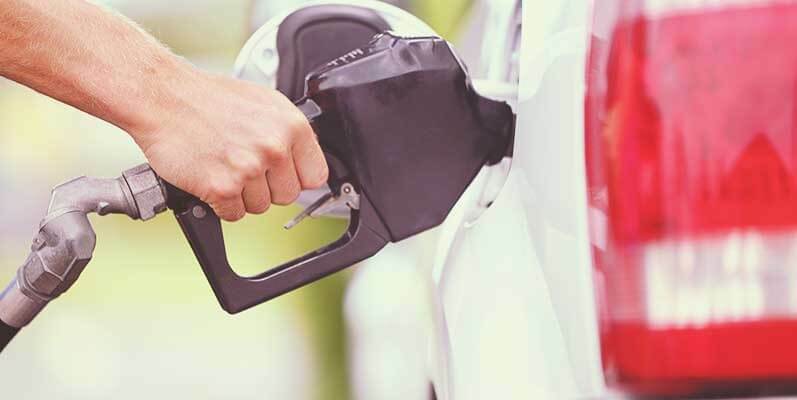 According to research by the Office of Fair Trading in 2014, it was found that fuel sold at motorway stations was on average 7.5p per litre more expensive for petrol, and 8.3p per litre for diesel, when compared to the rest of the country. How long do you leave it? Matthew Minter, from motor manual publisher Haynes, told Confused.com that there’s no statutory amount that should be left in the tank before the warning light comes on, but its typically around 50 miles. However, he does go on to say that the capacity of the reserve tank can vary greatly between different models, so it’s important not to rely on this. Plus, fuel gauges are not always very accurate, which can give you a misleading view of how much you have left in the tank. Confused.com recommend getting into the habit of “thinking of the low-fuel light as a final warning, rather than driving around with it on.” It’s also important to be aware that speed affects the amount of fuel that your car is using, which is why it’s particularly important to make sure that you allow for these variations when travelling on motorways – where you typically travel faster. Why shouldn’t you hit empty? Aside from these physical effects on your car, running out of petrol can be very dangerous. Always make sure you have plenty of fuel for your journey before driving onto a motorway and don’t let the fuel in your tank run too low. Fill up well before the gauge reaches empty and before the warning light comes on.